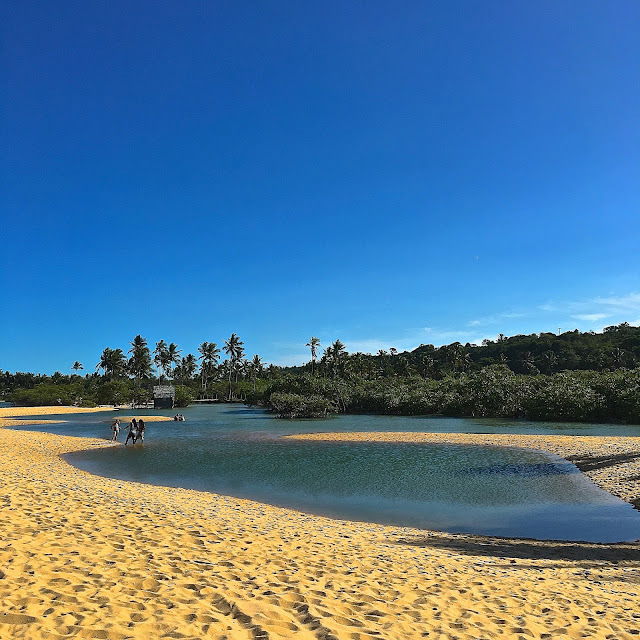 A sleepy, stunningly beautiful fishing village in the State of Bahia, Brazil, Trancoso is a magical place, in which time has seemed to stand still. It was here that I spent two idyllic weeks as part of the Chef in Casa project at UXUA Casa Hotel & Spa, for which I was honoured to be invited, but more on that later. Cut off from the rest of the country, Trancoso did not get electricity until 1982, and there were no roads linking the village with the airport at Porto Seguro until 1999. This relative seclusion is perhaps why so little has changed in Trancoso’s nearly 500 years of history. It was in this region, just a few miles from Trancoso, that the Portuguese first ‘discovered’ Brazil in 1500. 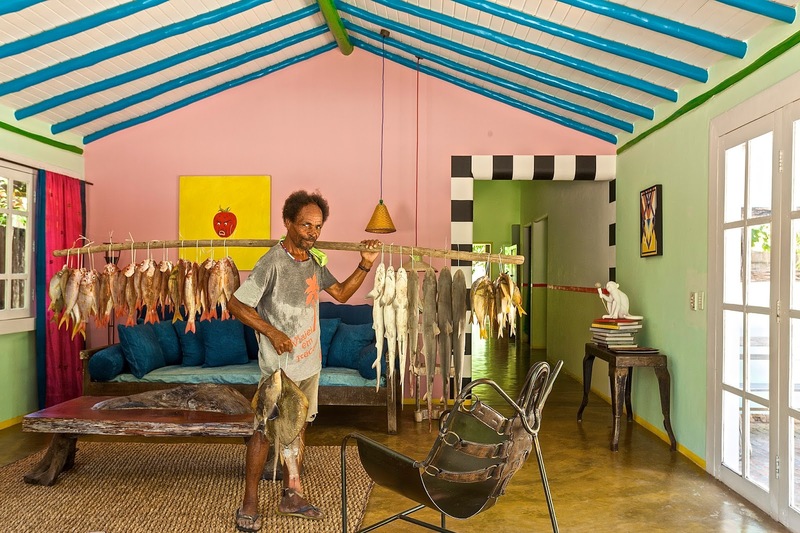 Trancoso itself was founded by Jesuits 83 years later with a mission of converting the local indigenous population. In the 18th century, the Jesuits fell out of grace and left the village. Trancoso was then largely forgotten for nearly 200 years until the 1970s, when artists, non-conformists and hippies from the southern states of Brazil travelled north to escape the repressive military government of the day. Today a UNESCO World Heritage site, Trancoso’s Quadrado (square) remains the focal point of the village, with the simple church of Sao Joao Batista church (one of the oldest in Brazil) at its heart overlooking the bay. Around the Quadrado are original fishermen’s houses, some dating back nearly five hundred years, and each one painted brightly in contrasting colours. Nowadays, these are mostly art galleries, chichi coffee houses and restaurants serving an elite clientele from São Paulo and abroad. Trancoso today is a place where the likes of Mario Testino, Beyoncé and top Brazilian model Gisele Bündchen come and rub shoulders with the locals or people just like you and me. They come for the gorgeous beauty of the Quadrado and the beach, where there is little to do except relax, swim or sip a perfectly-made caipirinha. 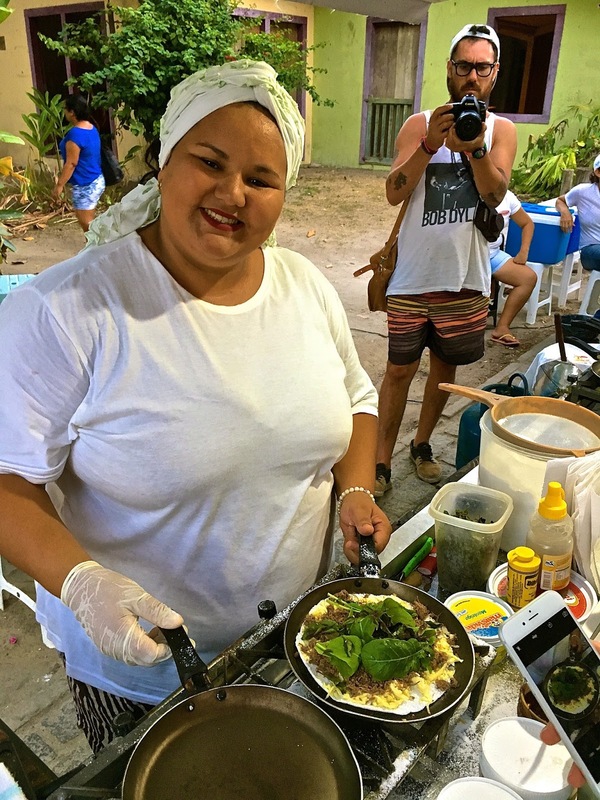 I spent two unforgettable weeks in Trancoso as part of the Chef in Casa project at UXUA and they were some of the most relaxing yet exciting weeks of my life. Owned and run by Wilbert Das, formerly Creative Director of Diesel, and business partner and marketing guru Bob Shevlin, UXUA Casa Hotel & Spa opened as recently as 2009. Today UXUA is a collection of 10 gorgeous houses set amid tropical gardens, with a pool lined with 40,000 pieces of turquoise aventurine quartz, as well as a spa, fitness centre, three restaurants and bars, including one at the beach-side. Each house is uniquely decorated using reclaimed Brazilian furniture, artefacts and antiques. Wilbert Das has used his years of experience and a team of designers to transform the most unpromising, discarded items into objects of beauty and functionality. The houses have polished cement floors, king-sized beds with fine linens, and a plethora of vintage furniture and Bahian folk art. There are also three other houses on the Quadrado that are not within the main hotel grounds, and it was in one of these (Casa das Artes) that we spent our stay. At Casa das Artes, I liked the blend of beautiful pieces of art in an old traditional house, with high ceilings and exposed wooden beams. The house featured bold bright colours, antiques, reclaimed wood, and lampshades made by the local indigenous Pataxó tribes. The kitchen was well equipped with a stove, pots and pans in case anyone would like to cook, as well as a fridge freezer, abundant free still and sparkling water, and a Nespresso machine, always a nice touch. There was also a huge, well-tended garden with a hammock, a massive solid wood table and benches where we took cocktails in the evening. UXUA is one of the few places I have been where the staff seemed really happy in their jobs. They knew all the guests by name, and nothing seemed to be too much trouble for them – they were incredibly helpful. I was honoured to be the first chef to be invited to the UXUA's Chef in Casa project. This was a creative collaboration inspired by the longstanding Artist in Casa residency in which international artists reside at UXUA while producing works inspired by local nature, people, and traditions. As for the Chef in Casa, each day of my stay I immersed myself in the local Trancoso community, making friends with other chefs, fishermen, farmers, restaurant owners and street vendors, who educated me about the local cuisine. 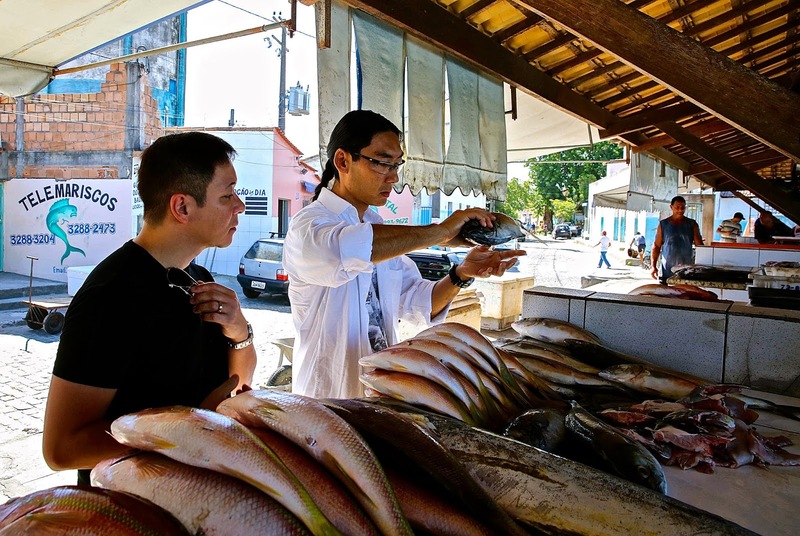 I enjoyed visiting the historic fisherman’s market at Porto Seguro to buy fresh fish to make a Brazilian Nikkei-style ceviche, as well as discovering the food markets of Trancoso. 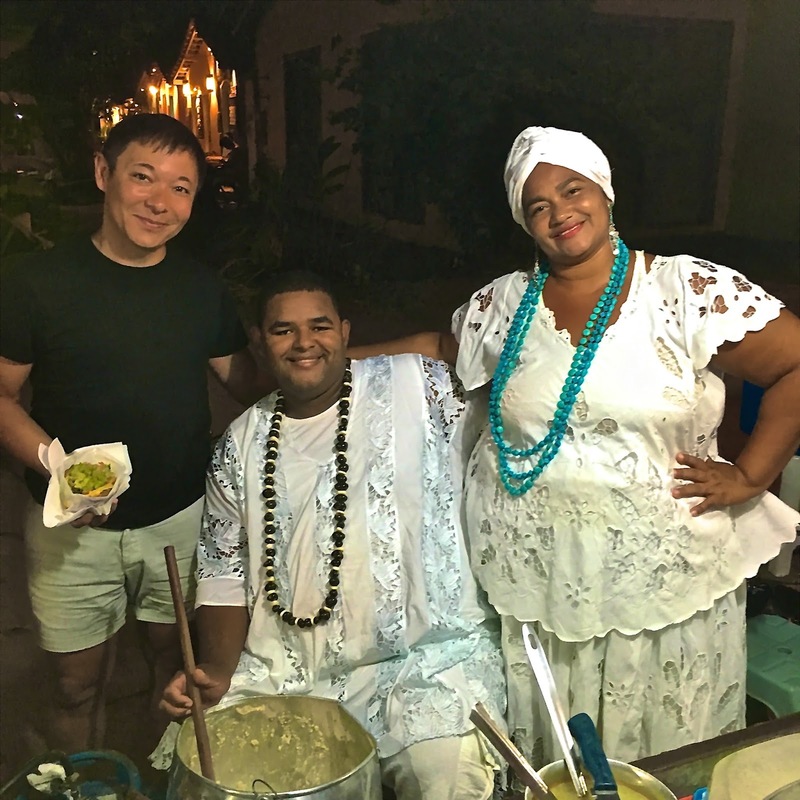 Besides these, I met and was inspired by many chefs in Trancoso, and was touched by their hospitality, how welcoming they were, and how generous they were in spending time with me in their kitchens. 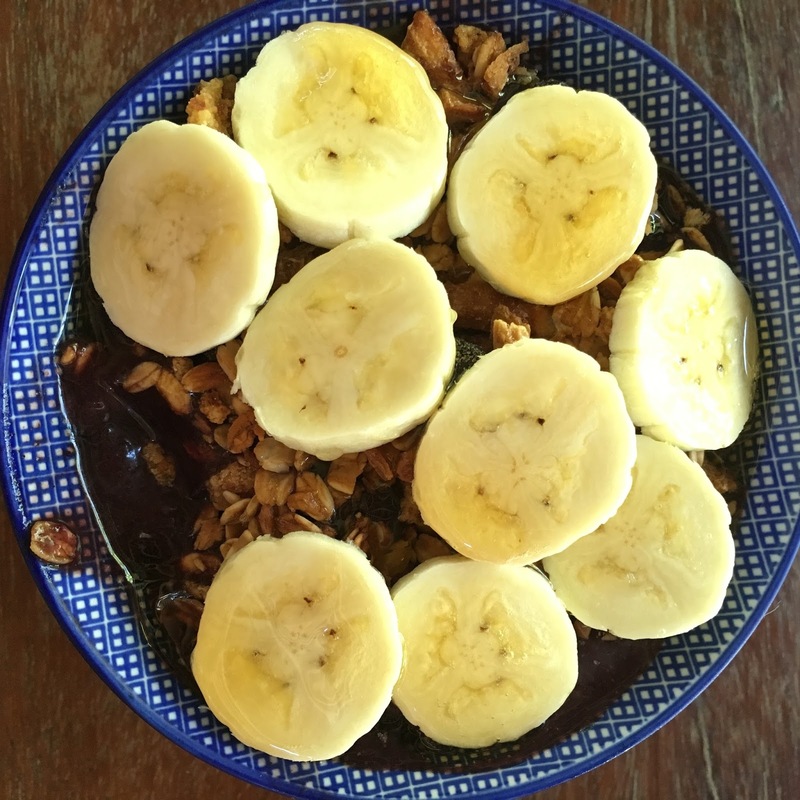 See some highlights below, in the section ‘Eating in Trancoso’. The aim was to inspire the creation of a menu bringing some of those wonderful dishes and flavours back to the UK for three UXUA Taste of Trancoso events at my supper club, from 18th to 20th May 2016. A limited number of seats is available £65 per person, with 100% of proceeds going to benefit the Associação dos Pescadores, which works to sustain Trancoso's traditional fishing industry. If you would like to book, please e-mail info@uxua.com. 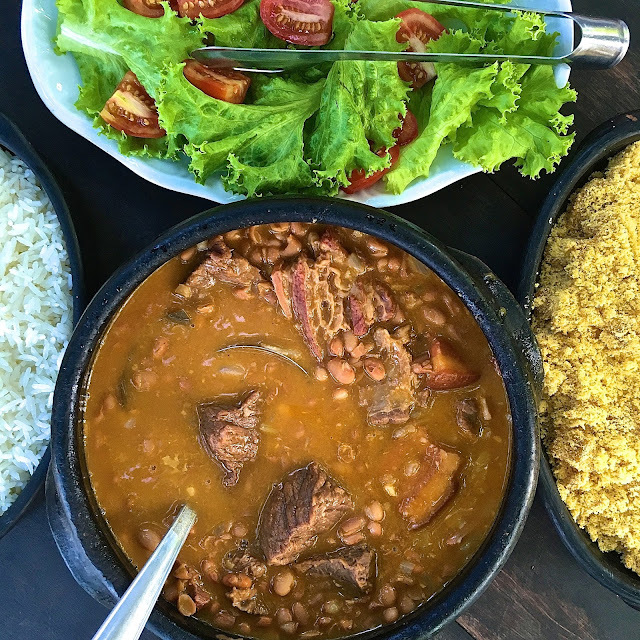 Trancoso is surprisingly cosmopolitan for such a small place, and you will not only find the local Bahian cuisine on offer, but also great sushi, as well as ceviches from Peru, and there is even a French and a Syrian restaurant on the Quadrado. I was very fortunate to be able to sample a number of dishes from the UXUA Restaurant menu (all in the name of research! ), many times with head chef Bernardo Silva and F&B manager Lili Torres. Moqueca tasting, all in the name of research! The menu at UXUA is eclectic, with an emphasis on local Bahian cuisine but with a healthy and modern interpretation. 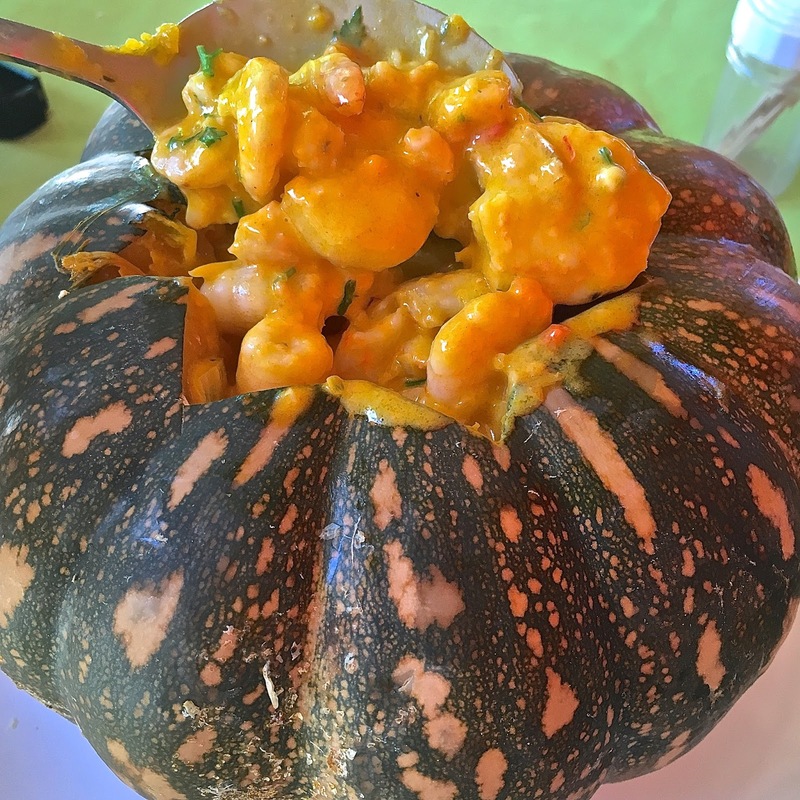 The food is excellent here, in fact the UXUA serves some of the best food in Trancoso's Quadrado - I loved Bernardo's fish & seafood moqueca, I could eat it everyday! Aki Sushi Bar, run by husband and wife Soninha and Anderson, is where we had some great sushi and sashimi. Many thanks to Anderson for taking me to Porto Seguro fish market at 6am, and introducing me to the local fish. Some of the best food we had in Trancoso was at Restaurante São João Batista (with chefs Paulo Sitolini and Poliana Depret from São Paulo, formerly at Alex Atala’s Dom Restaurant). Their tasting menu was so good that we went there three times. The restaurant uses local Bahian ingredients with a fine Paulistano interpretation. I am grateful to Paulo and Poliana for their generous hospitality and for sharing their recipe for ‘arrumadinho’. Locals and tourists alike flock to the Delícia do Quadrado stall, at the entrance to the Quadrado. Here, Elma serves the best tapioca pancakes in town. 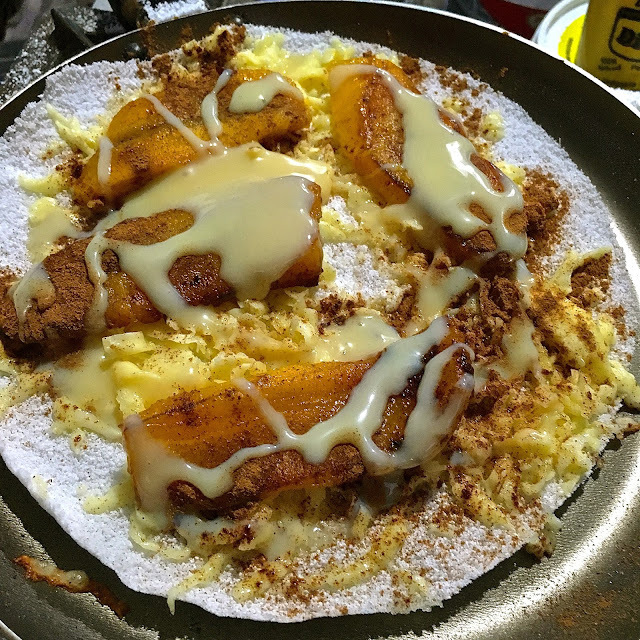 I never really understood all the fuss about tapioca pancakes until I tried Elma’s. There are many options on the menu, but I went for one of her signature numbers, with cheese, shredded jerk beef, basil, aubergines and a tangy olive sauce. The fried tapiocas were outstandingly good, light, crunchy and gluten-free. Another fantastic option was Brazilian 'coalho' cheese, with bananas, cinnamon and condensed milk. Elma’s husband Gide also mans the acarajé stall (black-eyed bean fritters) next door to Elma’s, as well as a restaurant by the mangrove, where we enjoyed a superb camarão na morango (cream of prawn served in a whole pumpkin). And because it is not on the Quadrado, prices are substantially friendlier. Restaurante Victoria, owner Donna Janete, served me the most wonderful home made rice and beans lunch which she cooked especially because I was craving for some Brazilian comfort food. Restaurante La Cervicheria, with Peruvian chef/owner Brict Peres, offers authentic Peruvian cooking just a few metres from the Quadrado, and here we enjoyed a good Peruvian meal and some great Pisco Sours. Ninety minutes drive from Trancoso, near the city of Porto Seguro, we visited an indigenous Pataxó tribe at the Reserva Indígena da Jaqueira. We were welcomed by Nityinawã, who showed us around the reserve and also cooked us a great fish wrapped in a patioba leaf over charcoal. With just a little salt and the natural oils from the leaf, this was an outstandingly good dish cooked with the simplest local ingredients. 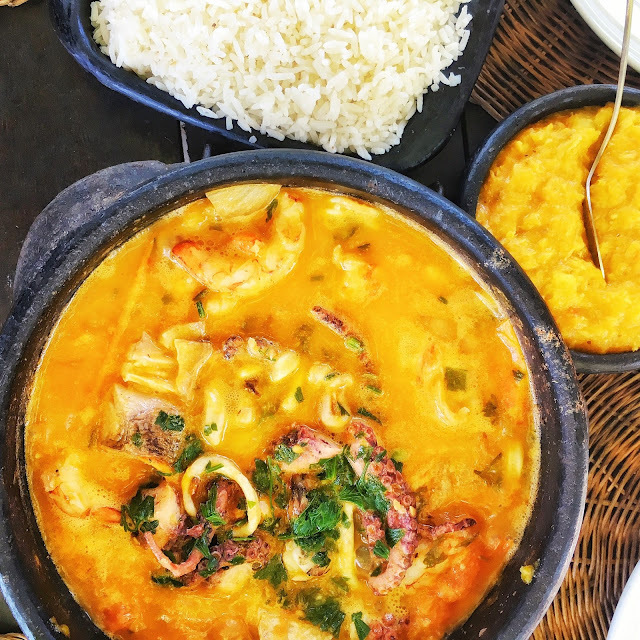 In the small town of Caraiva, a 45-minute speedboat ride from Trancoso, we had some wonderful ray fish pasteis, the town specialty. Created at Boteco do Pará by the charming owner Dona Claudia, a former school teacher. 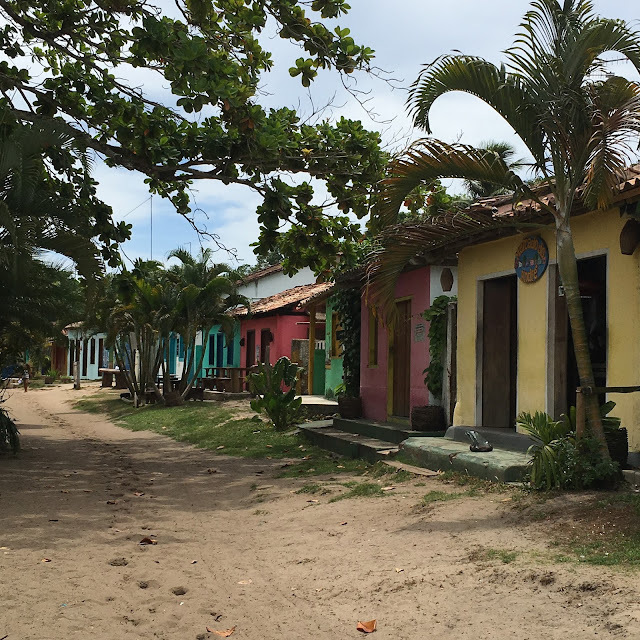 Caraiva is an incredibly beautiful village where no cars are allowed, and the streets and pavements are all made of sand. It is a wonderful place to spend a couple of days. At nearby Praia do Espelho, we headed to Silvinha’s for lunch. Served in her colourful open-air restaurant overlooking the magnificent ‘mirror beach’, the lunch is a set menu and is influenced by Silvinha’s Asian and Indian travels. We had a deliciously flavoursome soy-sauce stewed fish, as well as a selection of pineapple and red cabbage salads, brown rice, lentils and mango chutney. But most importantly, I am hugely indebted to the chefs at UXUA particularly Head Chef Bernardo Silva, as well as Marcia and Altieres, who spent many hours with me in their respective kitchens, sharing some of their best recipes. I was hugely inspired by their work. Having cooked Japanese and Nikkei food for as long as I can remember, going back to Brazil and experiencing the food of Trancoso has inspired me hugely to reconnect with the food of my birthplace. Thanks to Bob Shevlin, Wilbert Das and the staff at UXUA particularly Lili Torres, Pato Rammsy and Piero Zolin for looking after us so well, as well as Chris Mair for making it all happen. Rates start from £267 per night plus 13% tax, or £302. Mr and Mrs Smith website is running an offer of 4 nights for the price of 3, available to book until 31 July 2016. The nearest airport is at Porto Seguro, which is 1 hour away by car. Travelling from London, you would need to change planes at São Paulo. I love the unique charm of this place. I was so sad to cancel my holiday to Brazil. The Uxua casa hotel really is a fantastic place! I love Trancoso, the laid back vibe, the beautiful beaches and all the nice Brazilians. We went last year and stayed in a private villa at the Terravista Condo that we rented out with Marcia form Aluguel Trancoso (www.alugueltrancoso.com.br/en.html) and we really had an amazing time. I can't wait to get back to bahia!